Many standardized tests-including high school entrance exams, SATs, civil service exams, GREs, LSATS, and others-use analogy questions to test both logic and reasoning skills and word knowledge. 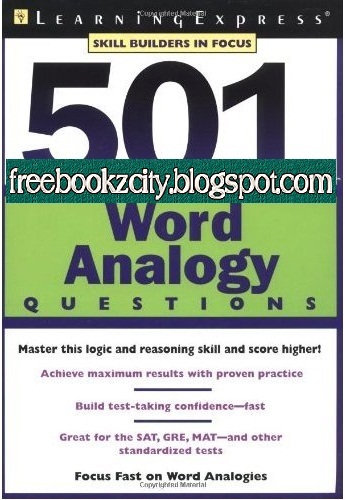 501 Word Analogy Questions is designed to help students prepare for the verbal and reasoning sections of these and other assessment and entrance exams. By completing the exercises in this book, students can develop the skills necessary to tackle each type of analogy question. The questions increase in difficulty as the student moves through each exercise, and all answers are explained, using short definitions and terms that clarify word meanings for effective studying and positive reinforcement.